FWC researchers Eric Muhlbach, Kate Hubbard and Sheila O’Dea collecting water samples. A large offshore bloom of Karenia brevis, the Florida red tide organism, has been detected this month in the northeast Gulf of Mexico. Satellite images from the Optical Oceanography Laboratory at the University of South Florida showed a patchy bloom at least 20 miles offshore between Dixie and northern Pinellas counties in northwest and southwest Florida. FWC’s Fish Kill Hotline has received numerous reports of a widespread fish kill. Karenia brevis was detected in background concentrations in one water sample analyzed from offshore of Walton County and background to medium concentrations in the bloom area offshore of Dixie, Levy, Citrus, and Hernando Counties. In addition, K. brevis was detected in background to very low concentrations in eight samples collected in, and alongshore of, Pinellas and Sarasota counties in southwest Florida. No bloom concentrations of red tide have been detected alongshore or inshore of any of the areas sampled. Forecasts by the Collaboration for Prediction of Red Tides show water movement proceeding south and slightly away from the coast for the next several days. Additional samples collected throughout Florida this week did not contain the Florida red tide, Karenia brevis. FWC has received multiple reports of fish kills and reports of discolored water over the past couple of weeks in the Indian River Lagoon system on the east coast of Florida. 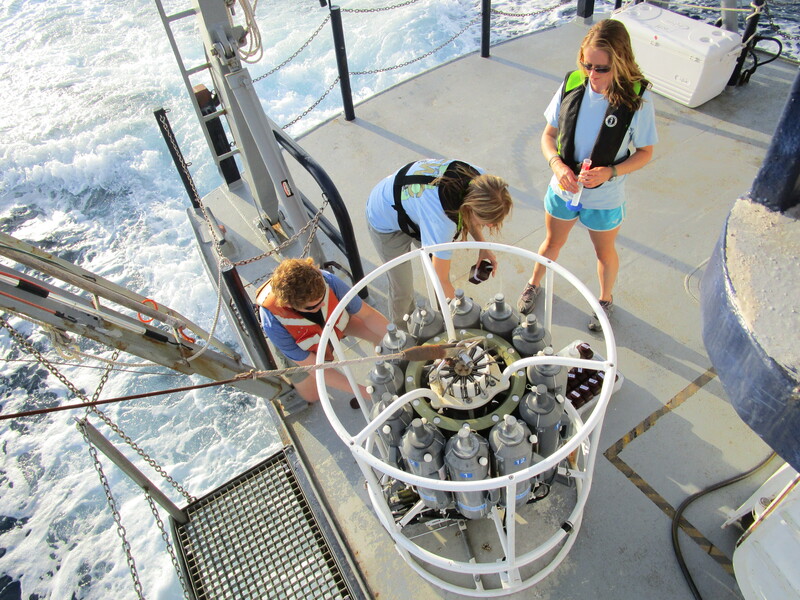 Sampling has revealed bloom concentrations of multiple algae species, including Takayama tuberculata and Pyrodinium bahamense. In addition, a bloom of Pyrodinium bahamense has been ongoing in Tampa Bay since May and discolored water has been reported.